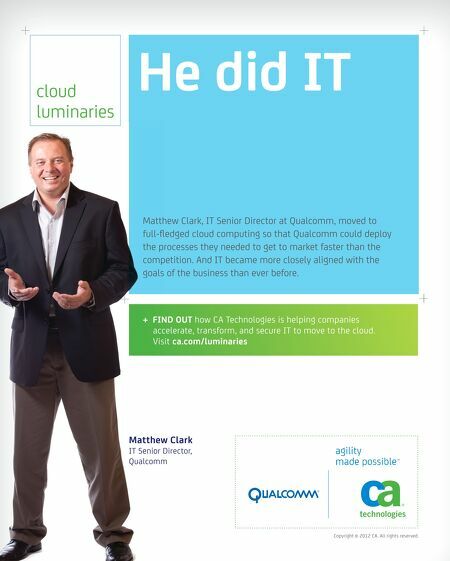 cloud luminaries He did IT Matthew Clark, IT Senior Director at Qualcomm, moved to full-fl edged cloud computing so that Qualcomm could deploy the processes they needed to get to market faster than the competition. And IT became more closely aligned with the goals of the business than ever before. 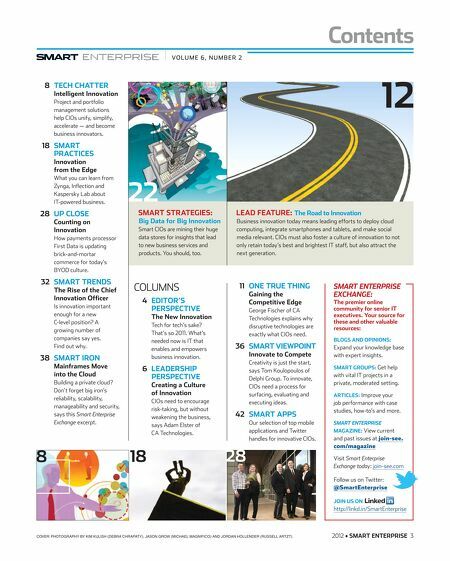 + FIND OUT how CA Technologies is helping companies accelerate, transform, and secure IT to move to the cloud. Visit ca.com/luminaries Matthew Clark IT Senior Director, Qualcomm master QC logo (c:100, m:60, y:0, k:0) Copyright © 2012 CA. All rights reserved.